Neptune Green Woods Aspire is one of the residential developments of Neptune Realty Group. It offers spacious 4 BHK apartments and 5 BHK penthouses. The project is well equipped with all the amenities to facilitate the needs of the residents. What is the location of Neptune Green Woods Aspire?The location of the project is Alkapuri, Vadodara. What are sizes of apartments in Neptune Green Woods Aspire? The apartment sizes in the project range from 2422.0 sqft to 5510.0 sqft. What is total area of 4 bhk in Neptune Green Woods Aspire? 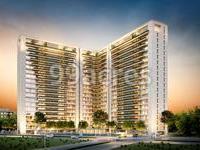 4 BHK units in the project are available in a size of 2422.0 sqft to 3155.0 sqft. How much is the total size of Neptune Green Woods Aspire?The project is spread over an area of 1.99 Acres. What is price of 4 bhk in Neptune Green Woods Aspire? 4 BHK apartments in the project are available at a price of Rs. 19702540 to Rs. 21734795. What is the price of flats in Neptune Green Woods Aspire?  Average unit prices in the project stand between Rs. 19702540 and Rs. 58202130.